There’s something to be said for the time that we all share in togetherness when it’s time to watch the Super Bowl. While some may admit that the commercials were the highlight of such an event when their favorite team failed to make it to the big game, car companies usually excel at captivating such an audience. 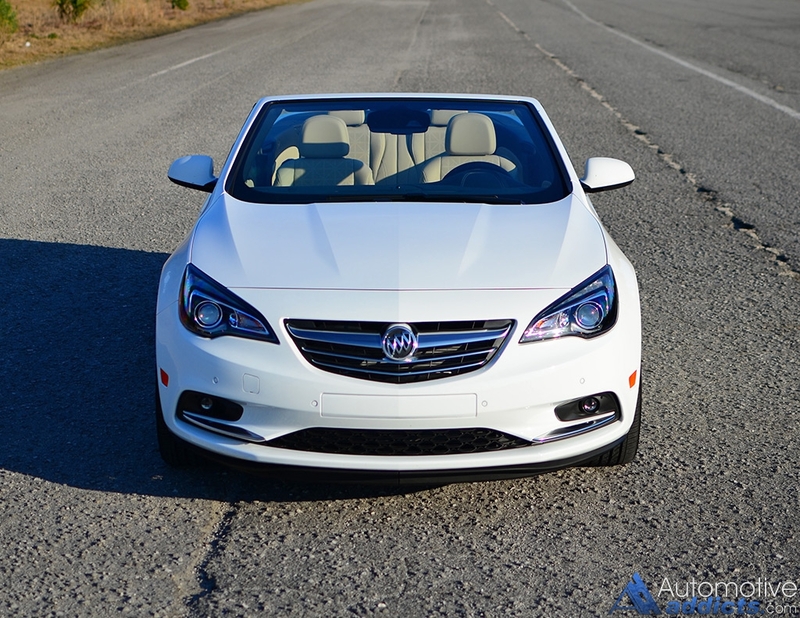 One of the many automotive commercials that garnered my attention a week after it aired during Super Bowl 50 was the Buick commercial featuring the all-new 2016 Cascada mostly due to the new Buick drop-top being my latest test vehicle. 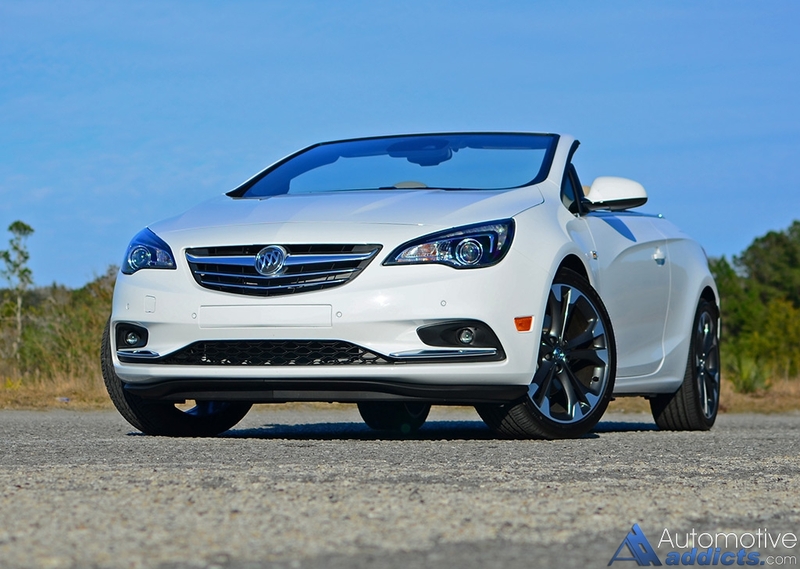 The all-new 2016 Buick Cascada has set a new tone for the brand and has done it at a time when the pickings for affordable convertibles are at a low. Captivating my neighbors and onlookers, the new Cascada was a rolling statement for Buick fresh off of the heels of its recent Super Bowl 50 commercial. Sure, I could relate to the commercial by driving the Cascada, but others resonated with the return of a Buick convertible with their laundry list of questions as they were intrigued by the stylish exterior with its svelte motorized fabric tap, smooth rounded sheet metal lines, and standard 20-inch wheels. This wasn’t your grandfather’s Buick by any stretch of the imagination. Buick’s embarkation of its brand identification in America has been a slight challenge. While the many advertisements tout the perception of “that’s not a Buick,” being a good thing, there is a new bold generation of convertible seekers that the Cascada may capture. I say that not to boast about its conservative driving traits, combining a 1.6-liter turbocharged 4-cylinder with 200 horsepower and up to 221 lb-ft of torque by way of a temporary overboost feature (207 lb-ft of torque normally) fed through a 6-speed automatic transmission to power the front wheels. 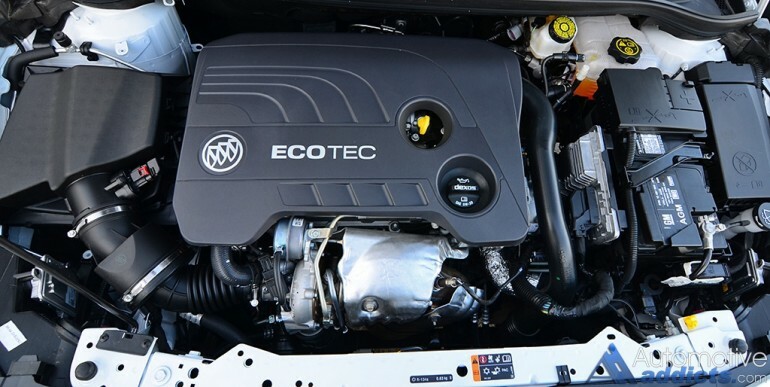 The power from the turbo 4-cylinder is adequate for the Buick Cascada but leaves a little to be desired in some situations. 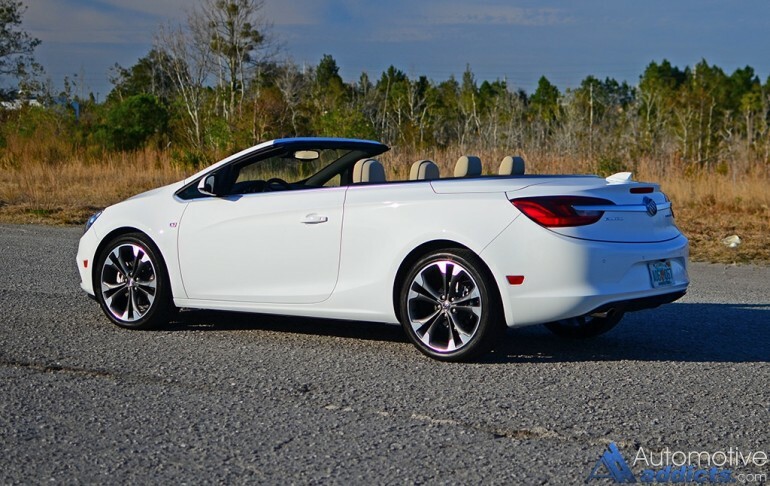 However, the Cascada easily gets out of the way of itself never lacking so much as to poke along in traffic or situations where you must overtake a vehicle on the highway. At best, power is sufficient and predictable, which is a good thing. The turbocharged engine, with a slightly coarse sound and feel when revving through its consistently powered RPM band, gets the Cascada up to 60 mph in about 8.6 seconds. There isn’t much noticeable turbo lag but you can feel a point where the engine bursts with an extra dose of torque after things get moving around 2,000 RPM. At the top end of the rev range the engine keeps pulling without giving out of wind as you may find in some other small turbocharged mills. Buick has done their homework here, riding off of the few years that the Cascada’s sibling, the Opel/Vauxhall/Holden-branded Cascada, has been on the road in many other countries. Fuel efficiency is mostly consistent as I noticed during my week with the Cascada. The smallish 1.6-liter turbo engine mustered out just over 27 mpg on the highway and 22 mpg around town for me. EPA estimates, which are somewhat underwhelming considering the output power only being 200-hp, come to 23 mpg city and 27 mpg highway. 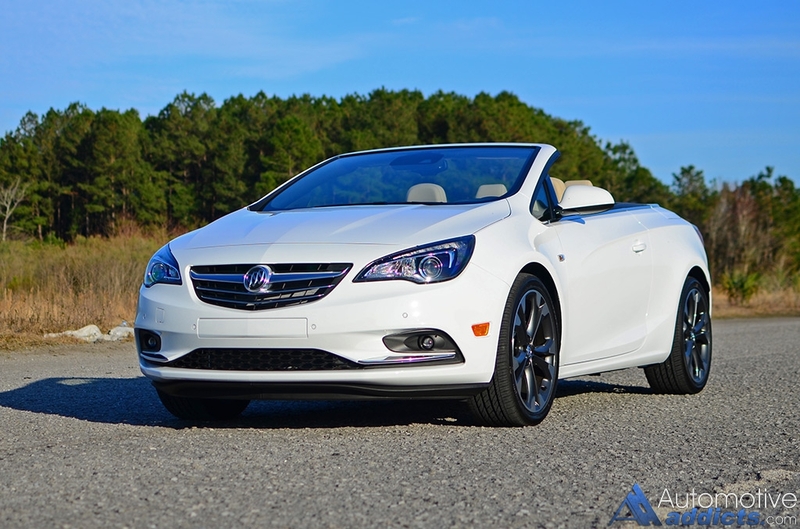 The performance of the 2016 Cascada doesn’t sway too far from Buick’s brand perception. 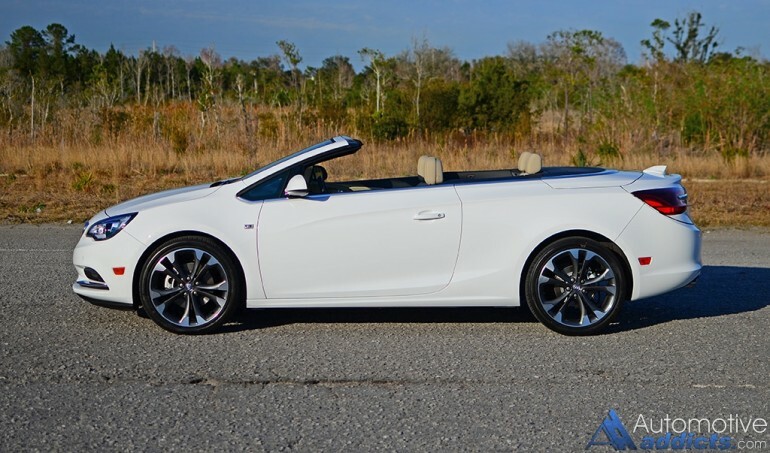 Take it for what its worth, the Cascada doesn’t thrill or surprise. 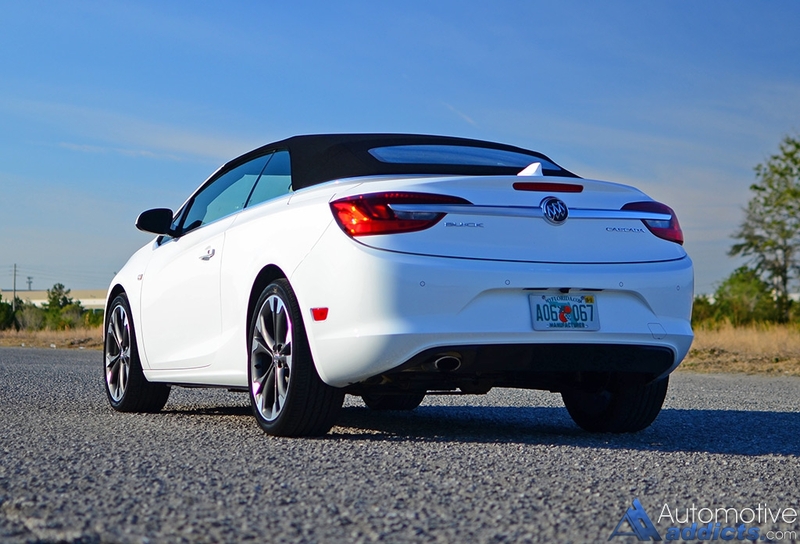 The new Buick Cascada’s chassis seldom exhibits a bit of cowl shake and jiggles going over rough surfaces but nothing overly intrusive to raise any red flags for its overall rigidness. However, what the Cascada does great is retain an agreeable driving characteristic with a nicely damped suspension that admirably absorbs road dips without any unwanted rebounds or float. The front end exudes a sponge-like feeling going over road dips and bumps at speed, which actually helps to keep the heavy front end firmly glued to the road, so its large 20-inch wheels and Bridgestone Potenza 245/40/20R tires do their job to track the Cascada in the direction you point it. With a curb weight of 3,979 pounds to carry around, the Cascada isn’t exactly a lightweight but it manages its heft well. 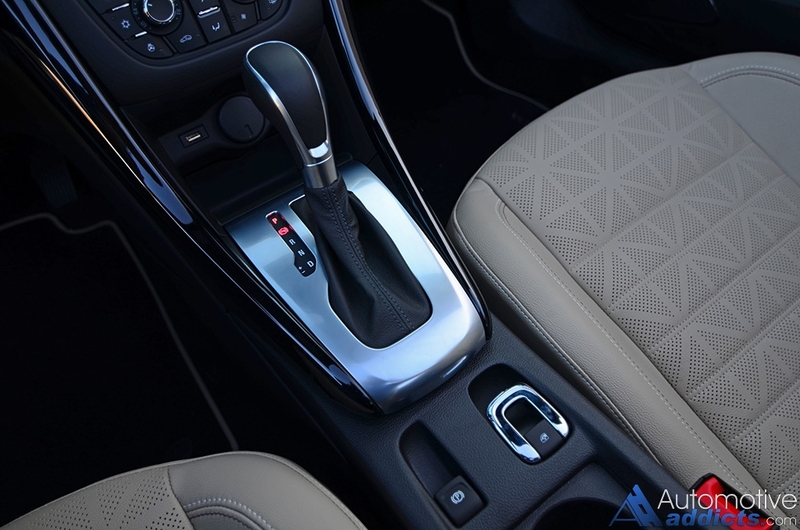 The interior of the 2016 Buick Cascada doesn’t depart far from what we have seen here in the states with the current Buick Regal. 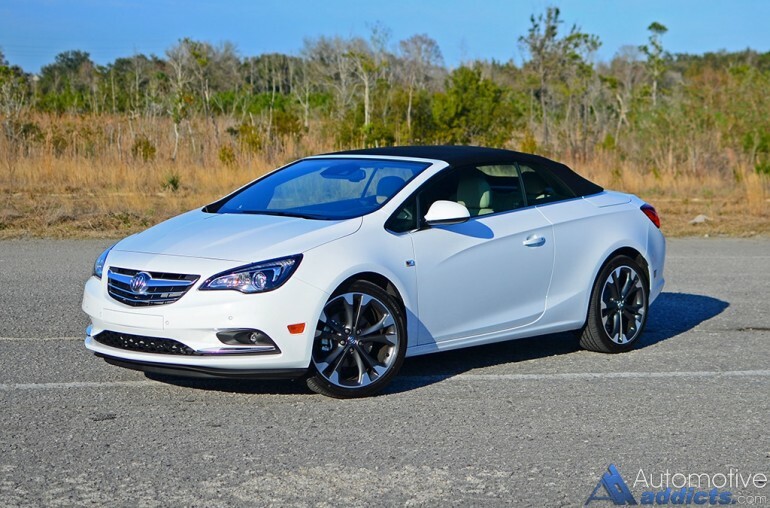 Though, the Cascada has its exclusive encapsulated beltline and, of course, its quick-opening and closing motorized fabric top. The top can be operated at speeds up to 31 mph and opened or closed in a quick 17 seconds. 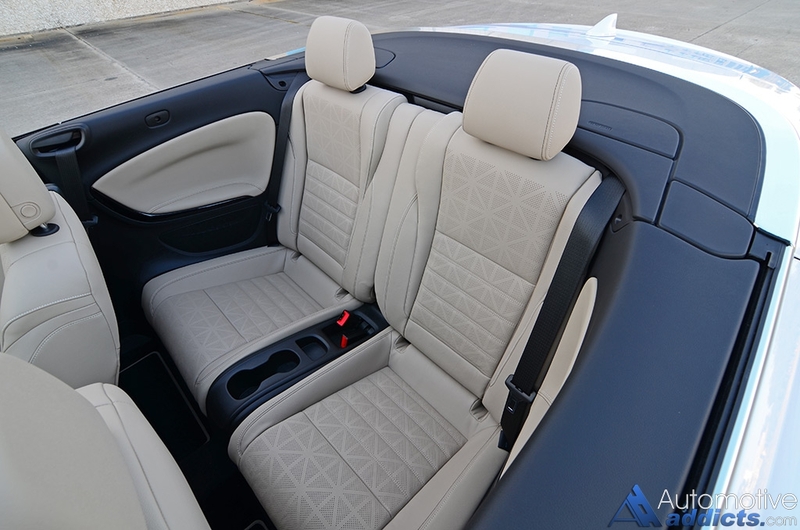 The 10-way power adjustable front seats in my top-trimmed Cascada Premium test vehicle feature ample adjustability and nice bolstering support. The leather perforated surfaces up front and out back prove to be comfortable on long hauls with just the right amount of support to prevent fatigue. 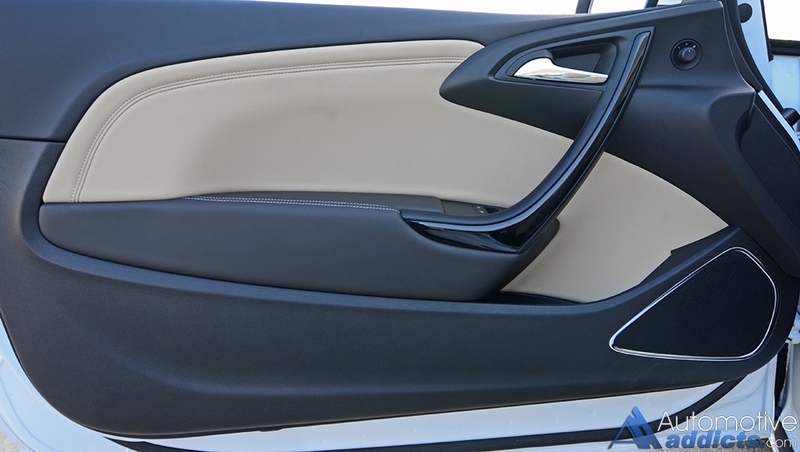 The Cascada’s dashboard, comprised of a limited amount of soft touch surfaces and plentiful hard plastics, somewhat mimics the stylish curves of the Cascada’s exterior design. 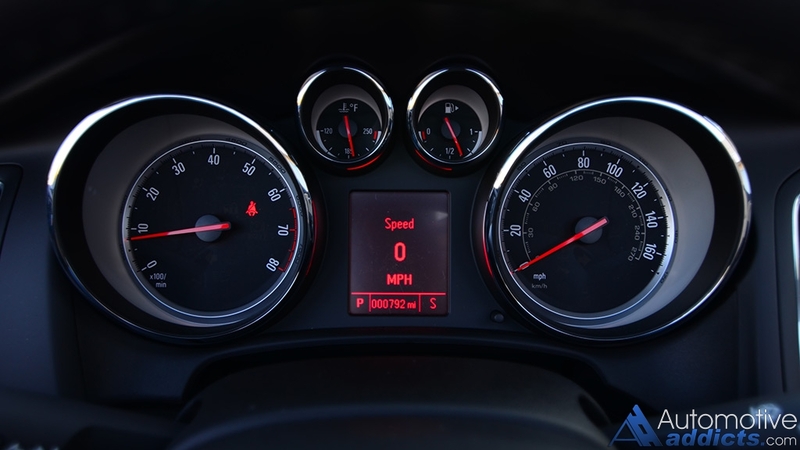 The gauge cluster looks a bit dated with a monotone-red LCD info display and the 7-inch infotainment system touch screen appears to be smaller than it is due to being sunk so deep into the dashboard. There are a plethora of monotoned-looking buttons, which get lost in translation and can be initially confusing to some only adding to the dated feel of the dashboard. 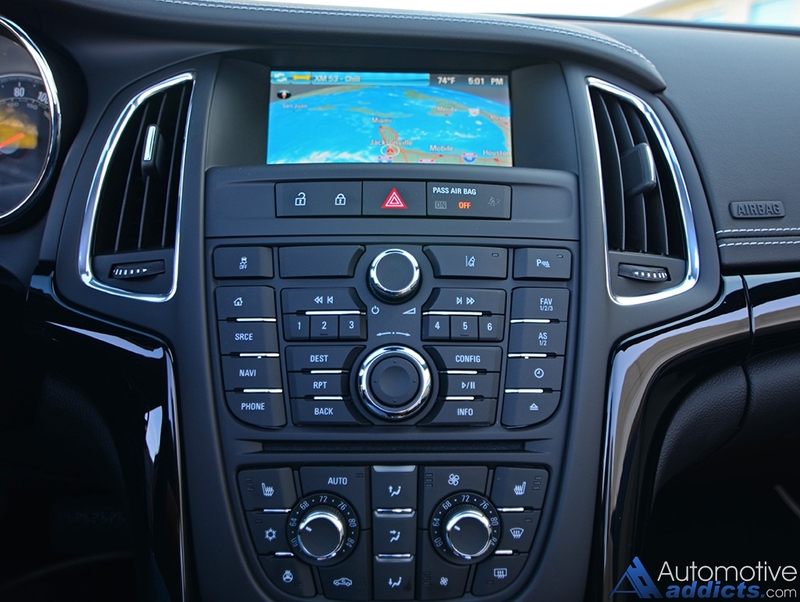 This is an area where Buick could use some improvement, or at least, some contrasting colors to assist your eyes in finding the desired control knob or button. It’s just too many buttons that all look the same, in addition to a commonly-overlooked central power lock button that should be transformed into single power buttons on each door. Missed opportunity here, folks. The rear seating area is cut short, as you would expect in a convertible 2+2 vehicle of this class. 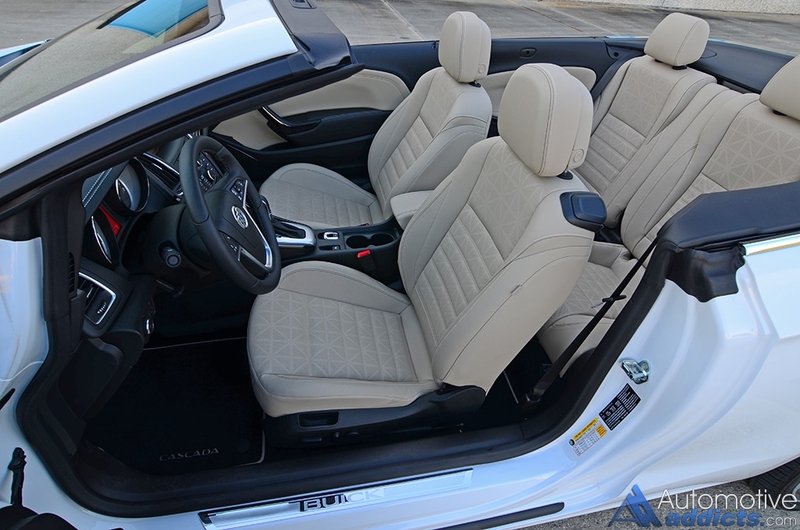 Though, children and small adults may find the 32.8 inches of legroom to be just enough for a trip to the beach with the top down. 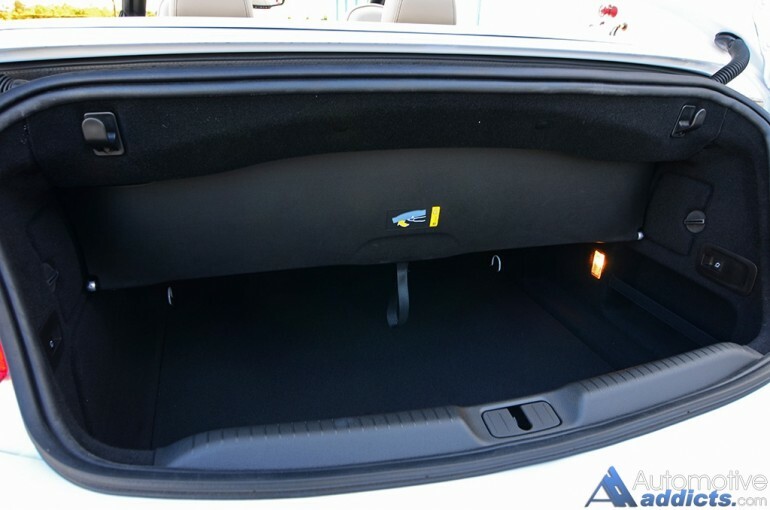 Thankfully, entry and exit of the rear is simple with the front seats automatically motoring their way forward and then back into place when you fold the seat back. Moreover, the front seatbelts are brought closer by the way of a motorized seatbelt holder, so you do not need to reach so far back to grab your seatbelt. It’s also prudent to mention that the two doors are on the heavy side even though they open up very wide. At times, the door would catch a fresh wave of wind and nearly impale the car parked next to me. 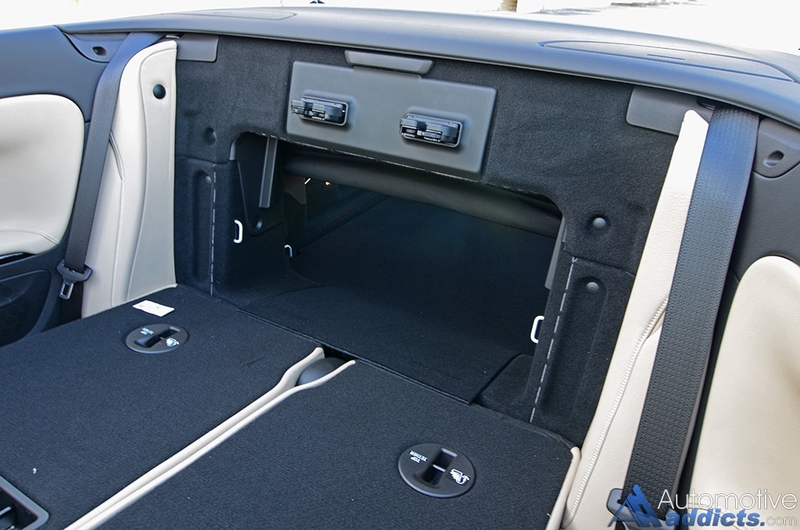 Cargo capacity is at a modest 9.8 cubic feet with the top down and movable trunk divider in place. 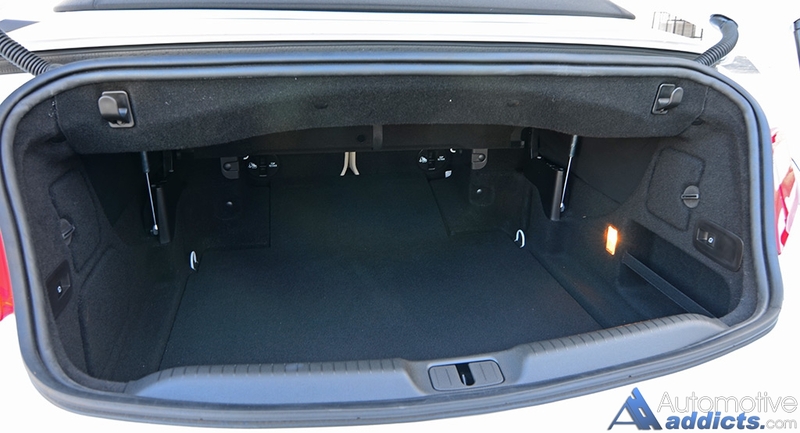 Putting the top up and manually moving the divider out of the way opens the trunk up to 13.4 cubic feet in addition to a pass-through by way of split 50/50 folding rear seatbacks. 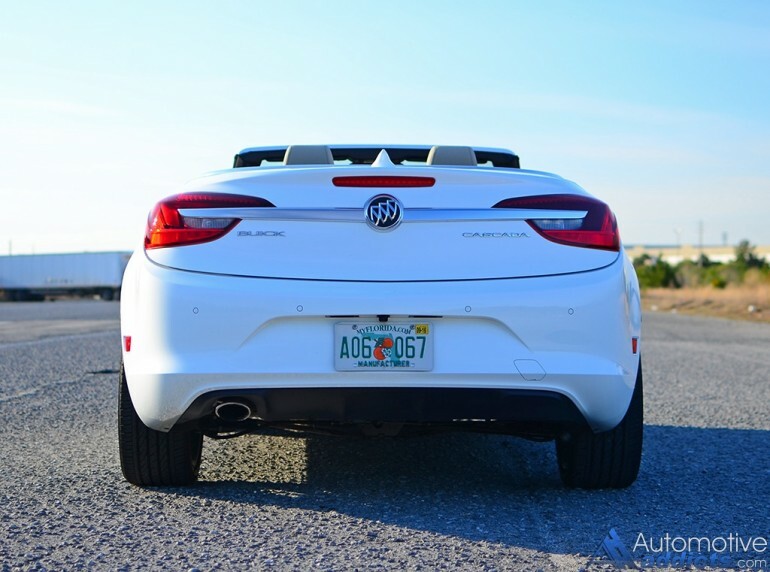 When it comes to the right equipment, the new 2016 Buick Cascada provides many desirable features and amenities. On my top-trimmed Cascada Premium test vehicle you get heated front seats with 8-way power adjustment and power lumbar, heated steering wheel, dual-zone automatic climate control, heated review mirrors, forward collision alert, lane departure warning, front and rear park assist with review camera, automatic articulating Bi-Xenon HID headlights, LED taillights, fog lights, rainsense wipers, a 7-speaker audio system with Bluetooth connectivity streaming/USB connection, and OnStar telematics with 4G LTE WIFI hotspot internet access. 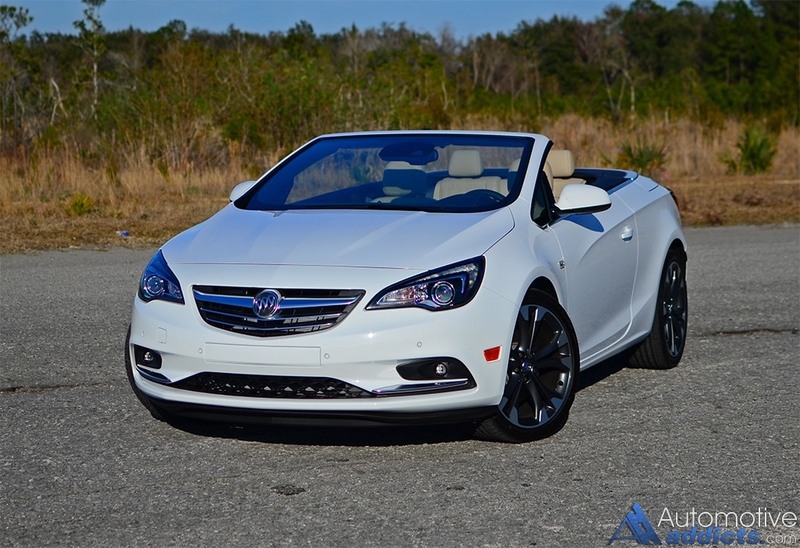 Starting at a price of $33,065 and reaching my test vehicle’s final price of $36,990 including a destination charge of $925, the new 2016 Buick Cascada is quite the desirable convertible that deserves a good look before settling on the other few offerings in such a niche segment.